Find hotel near Historia Park - Museum Be .. 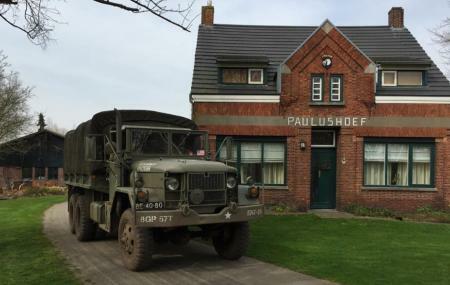 The Historia Park - Museum Bevrijdende Vleugels, or the Wings of Liberation Museum, take you back to the time of liberation with its raving fighter planes, heroic pilots and American parachutists. Featuring a vast collection of tanks, airplanes, dioramas, photographs, and weaponry, this is one of the must-visit places in Best. Excellent museum with many unique artifacts from WWII. I have been to many war museums all over the world and this museum's collection possess many items I had never seen before. TIP: the parking lot is the area right off off the main road (Sonseweg), you walk the rest of the way. The day we visited, we drove right up to the front door but something didn't "feel" right so I asked. There was a special event going on so I assume the gate we drove through should have been closed but wasn't. Regardless as soon as you turn off Sonseweg into what appears to be a restaurant's parking lot, you are in the parking lot, park. Go around behind the restaurant, past the art gallery and you will see the museum on your right near a bridge. Fantastic museum! If you like motorized equipment like jeeps, tanks, trucks, motorcycles and planes; you will love this museum. They even have a running driving Russian tank. Great museum, nicely arranged. The biggest surprise is the last section where there is a big collection of old communication equipment using the old tube technology and still working and from different origins: German, USSR, American, British... Amazing experience.